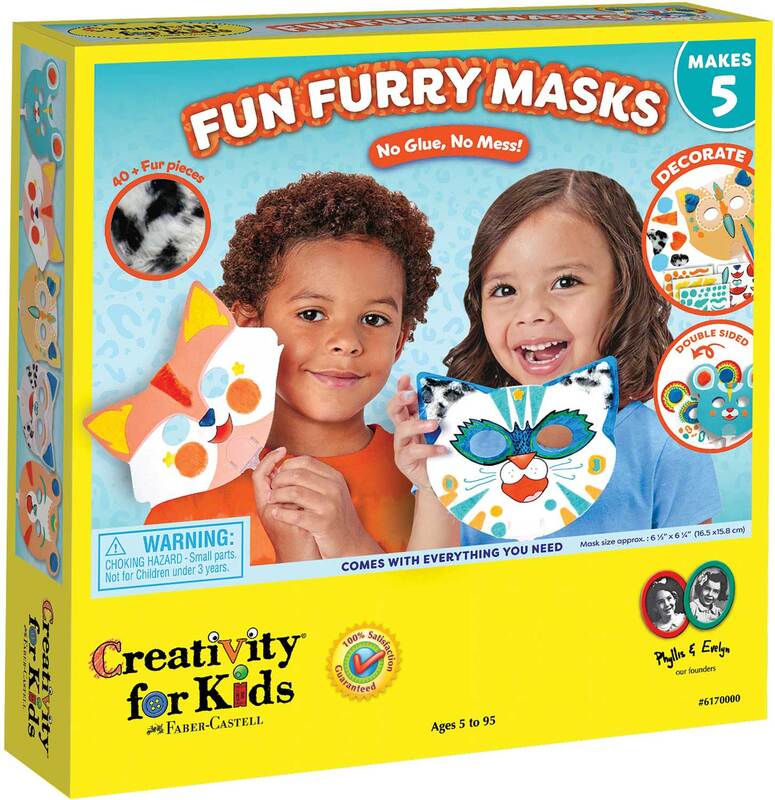 Fun Furry Masks is a new take on a classic craft! 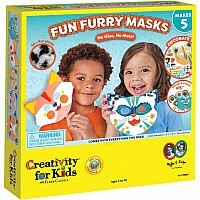 Jump start your child's imagination as they craft and play with 5 deluxe furry masks. 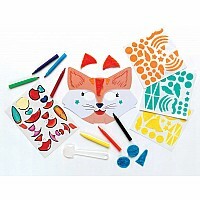 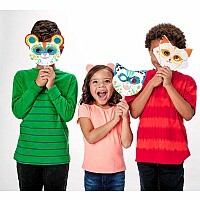 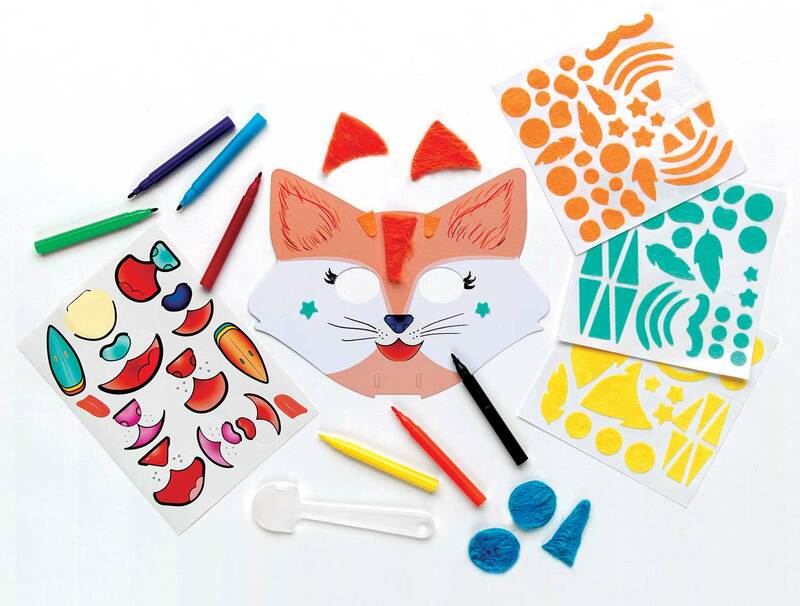 Transform 5 animal-shaped cardboard masks with colorful markers, stickers, peel-and-stick felt accents and pre-cut faux fur. 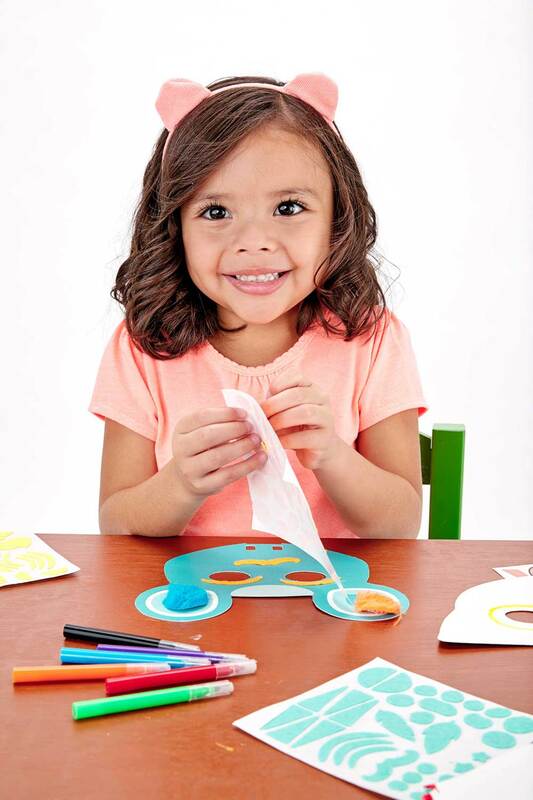 Decorate both sides for added play. 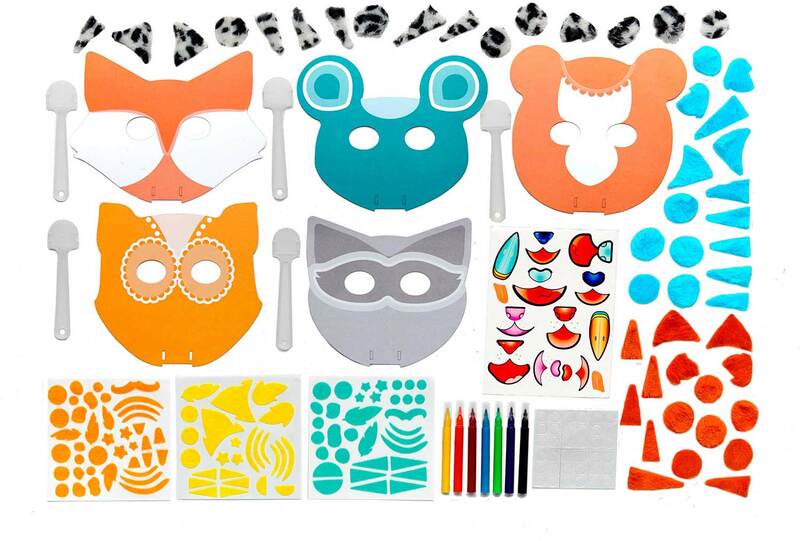 Add the snap-on handles and let the show begin! 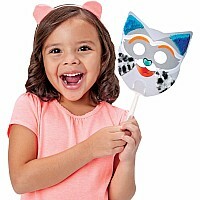 Featuring mess-free crafting, making it perfect for small groups and play dates. 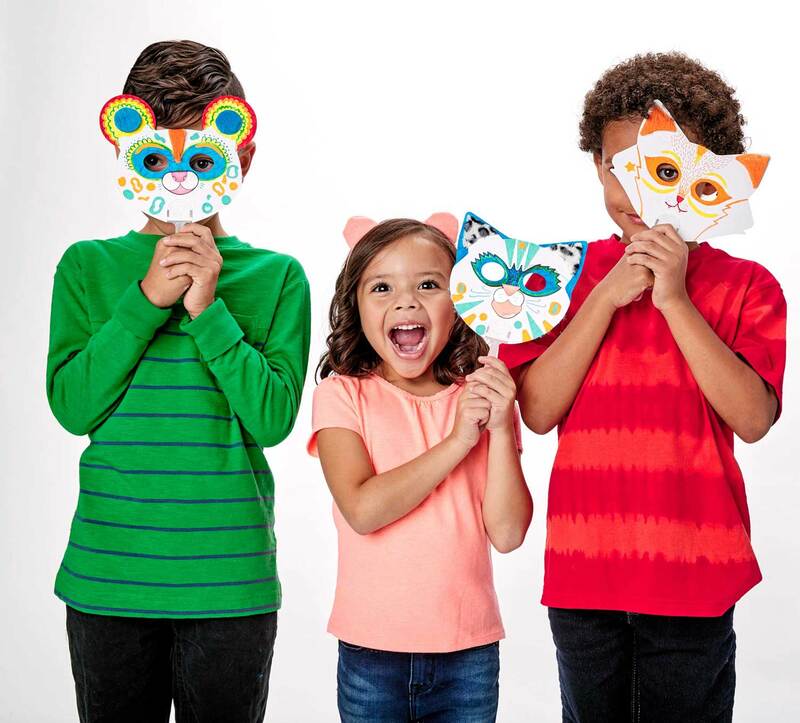 Finished masks measure approximately 6.5" w x 6.25" h.
Measures approximately: 9.25 x 2.00 x 9.75 inches..